If you are a real estate broker, you already know that open houses are a great way to draw attention. Do it properly and you could end the day with an offer and a handful of new customers! The days of magazines and classified ads are over. To promote an open house, post a blog article with photos. Descriptive blog content will catch the attention of your prospects. Indeed, content marketing is more popular than ever, especially since articles are not hidden by AdBlocker, unlike advertising outright. Although we encourage you to promote your open house on every platform possible (Twitter, Instagram, LinkedIn, YouTube…), Facebook remains the leader. There, start a Facebook Ads advertising campaign (or ask us to do it for you), announce the visit in a status and boost it, and create an event to which you’ll invite the most prospects possible. As these are easy to ignore, decorate them with colourful balloons that will catch the eye. Find the busiest intersection in the neighbourhood and plant a sign, and more every four or five blocks around the house for sale. There can be more distance between each sign, at your discretion, but the important thing is to put a lot… and to make sure that the arrows point in the right direction! Provide visitors with documentation essential to back up your sales pitch and answer their questions: Evaluation and inspection reports, renovation bills, real estate comps, deeds of property, Hydro-Québec statements, certificates of location, blueprints… Make several copies of the detailed property sheet or prepare custom brochures to hand over on request. Photos don’t come to mind right away, but they can make a difference. If possible, show pictures of the property taken at different times of the year, as well as photographs of the main neighbourhood attractions—amphitheatre, main streets, lake or river, park, shopping centre… A map of the area could be helpful too. Lay these photographs and documents in a quiet place where visitors will feel comfortable to ask questions and take their time. A tray of cookies and a pot of coffee will put them at ease. Ask the homeowners to hide any object that might catch the attention of an ill-intentioned person: passports, jewellery, keys, chequebooks, medicine… Beware of unaccompanied people and do not leave visitors alone in a room. You already know the importance of a thorough cleaning, but do not forget the garage, the closets and the cupboards: Potential buyers will poke their nose everywhere! Rooms must be impeccable and uncluttered. Remove all cars from the driveway to allow visitors to park. Ask the owner of the house to leave the premises with his children: Prospects will be more comfortable to visit and share their opinion without them around. If possible, ask them to bring along their pets. Some people are afraid of dogs and others are allergic to cats. In addition, a noisy or overly affectionate animal could distract visitors! Open the curtains and turn on all the lights to optimize the lighting and give the illusion of a bigger house. Keep the temperature around 21 degrees and, if there is a fireplace and the weather allows it, light a fire. Do not play music or otherwise nothing but soft music at a very low volume. Do not perfume the house too much and, above all, avoid synthetic fragrances because some people don’t tolerate them. Stay cool! Open houses can attract a crowd… or no one at all. In the latter case, don’t let it bring you down. If your morale is low, your client will notice and may feel discouraged. It is recommended to organize several open houses and try different time slots. Favour days when the weather is nice and be sure not to interfere with major events: No one will come on the day of the Super Bowl! You can hardly predict the number of visitors. If you have a partner, ask them to stay near the phone in case you need help. This way, you can be certain that, if traffic is important, each potential buyer will receive a warm welcome and answers to his questions. Avoid showing the house for sale to more than one buyer at a time. Otherwise, ask the newly arrived group to visit the yard and the neighbourhood while you are busy inside. Greet each visitor with a warm welcome. Ask them what kind of house they are looking for: This will help you determine which aspects of the house you should prioritize during the visit. And make sure to mention any detail that they might not notice, for example: "Do not forget to take a look at the shed. It is included in the sale!" That said, don’t be a chatterbox! Give buyers enough space to talk in private. Read the documents over and over until you have memorized their content, and try to anticipate questions that potential buyers might ask not to be caught off guard. Also, learn about the history of the house for sale and its neighbourhood. Be honest and do not oversell. For example, do not say that the floors are new if they were renovated eight years ago. Don’t tell prospects that other individuals have already expressed interest unless it’s true. If they learn your lie later, they may feel betrayed. Ask visitors what they thought before you say goodbye, then take their contact information (email or phone number) to contact them no later than two days after the open house—unless, of course, they have clearly expressed their disinterest. 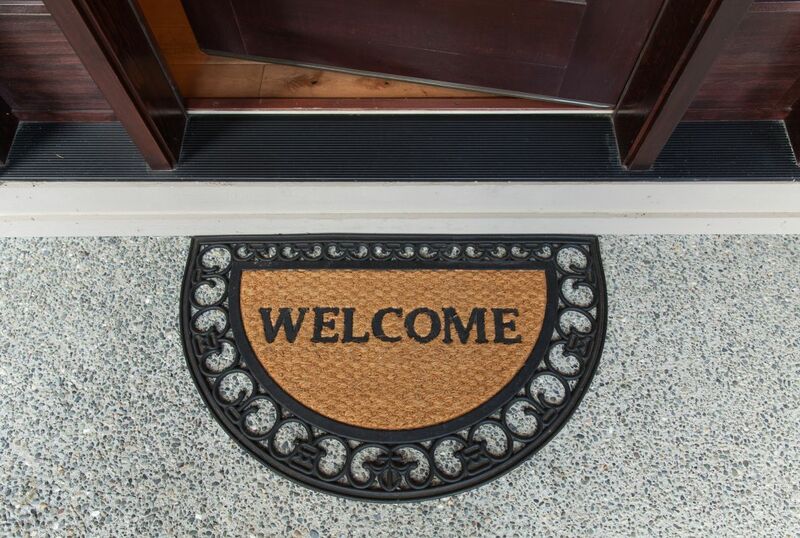 It is true that most open houses attract curious people more than potential buyers, but they serve more than one purpose: They also allow you to get your name out there. Some visitors who are not yet ready to buy could keep your business card and give you a call in two years. Who knows?